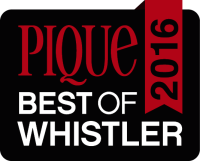 Twin Peaks Engineering Ltd. is a locally owned and operated Consulting Structural Engineering firm located in Whistler, BC, Canada. We provide services for residential, light commercial and industrial projects specialising in timber design, steel and reinforced concrete structures, structural condition assessments and detailed structural analysis using the latest design software. Our projects include everything from new construction in Whistler to renovations in Pemberton, from small residential jobs to large industrial ventures. We offer a dedicated local and professional service, which gives us the ability to develop innovative, economical and practical engineered solutions. Named after the mountains that define the landscape, Twin Peaks’ intimate knowledge and experience in Whistler, Squamish and Pemberton is evident in every stage of planning and construction, as it reflects the unique challenges of this demanding landscape. Twin Peaks Engineering Ltd. is committed to integration with other design consultants and developing coordinated designs that meet the end user requirements, whilst complimenting the architect’s vision. We provide design services through Autodesk Revit and are continually working with contractors to develop coordinated construction documents that achieve seamless buildability onsite. As a local company, we have already worked with leading consultants and contractors in Whistler and its surrounds, meaning that we already have experience in dealing with many other local professional organisations. Principal and owner, Benjamin Towsey P.Eng, has a wide range of experience from military engineering through to residential and commercial projects in Canada, Australia, South East Asia and the Middle East. Benjamin brings this experience to every structural engineering project through leadership and management of staff, dedicated customer service and the application of engineering knowledge and expertise. Our team of dedicated structural engineers in Whistler offers a combined portfolio of more than 25 years of work spanning countless design and construction projects throughout BC and across the globe. For more information or to inquire about working with us, visit our contact us page to get in touch. © 2016 Twin Peaks Engineering Ltd.